I learned something new last weekend, and in a way I never expected. 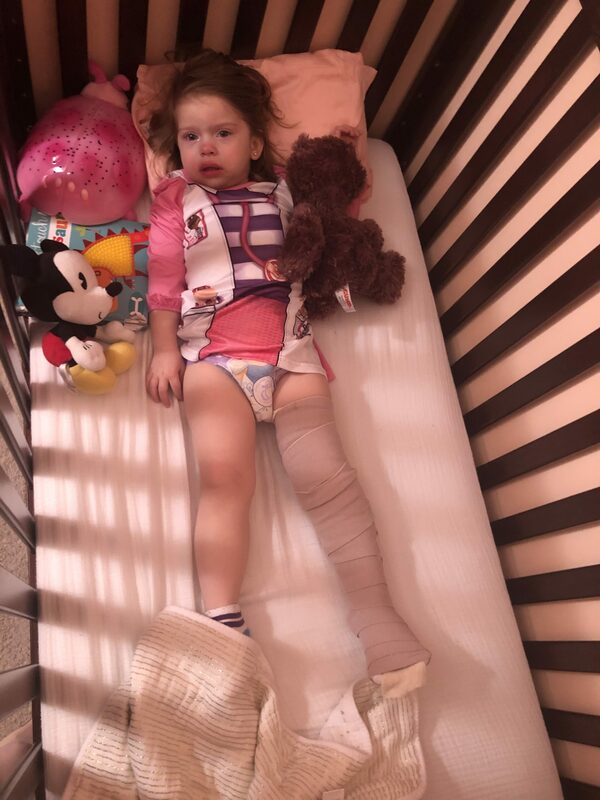 Slide injuries in kids are a thing guys – and a common thing at that. 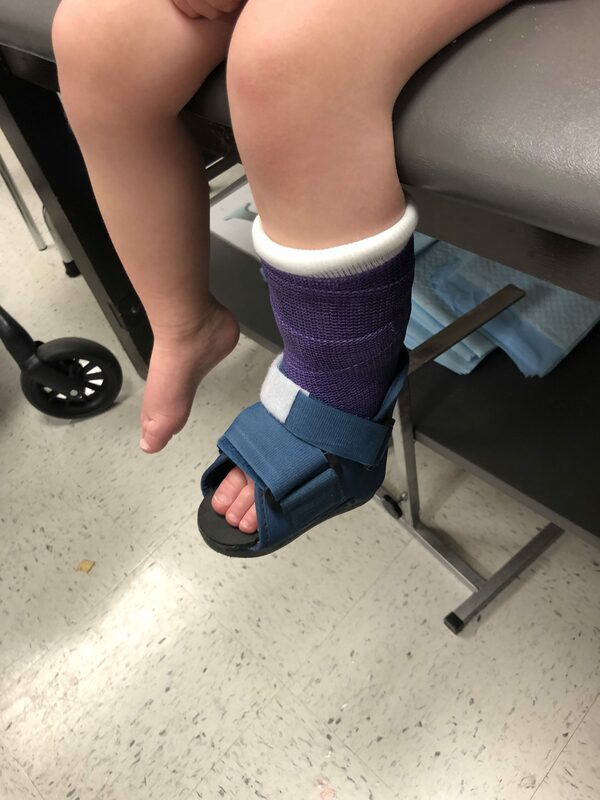 See, that’s my two-year-old in a cast – a purple one that she picked the color of herself. Why is she in a cast, do you wonder? Well, Friday evening Chris took the girls to the playground. All was fine, until one final trip down the slide – with Ella on Abbie’s lap. 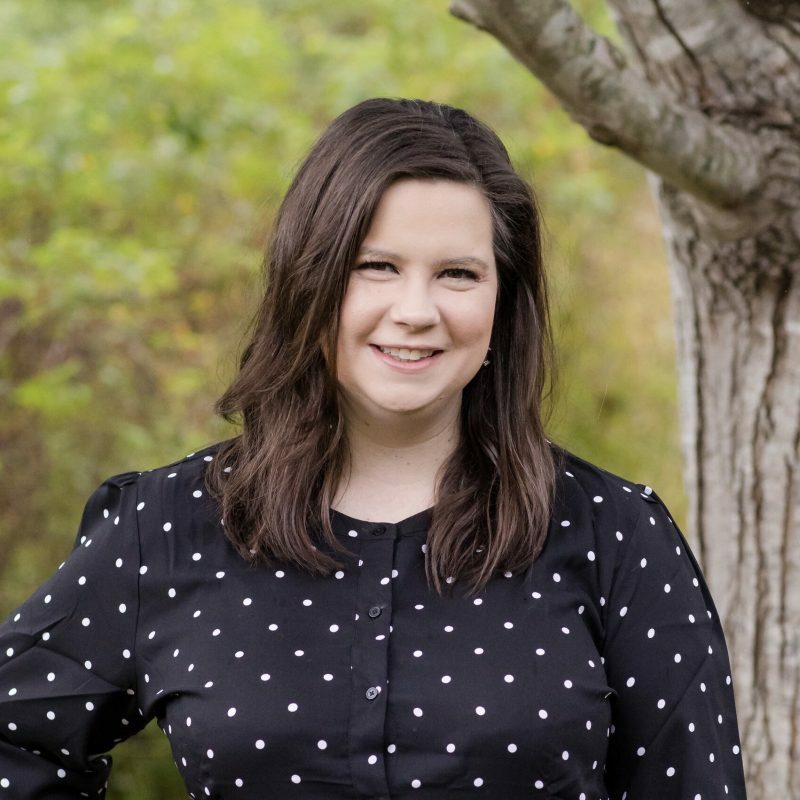 They slid down and Ella’s leg bent back – and suddenly, she could no longer put weight on her left leg. When she still couldn’t bear weight almost 2 hours later, I took her over to Patient First to be sure nothing was wrong – except it was. 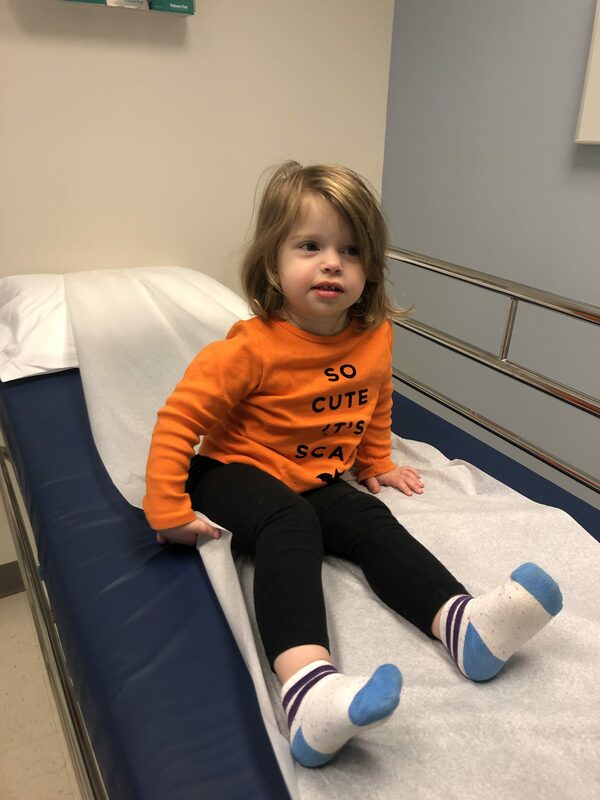 After an exam and several X-rays (and let me tell you, X-rays with a two-year-old are not the most fun), they determined that while we couldn’t see a break, there was likely a fracture in the growth plate in Ella’s leg. 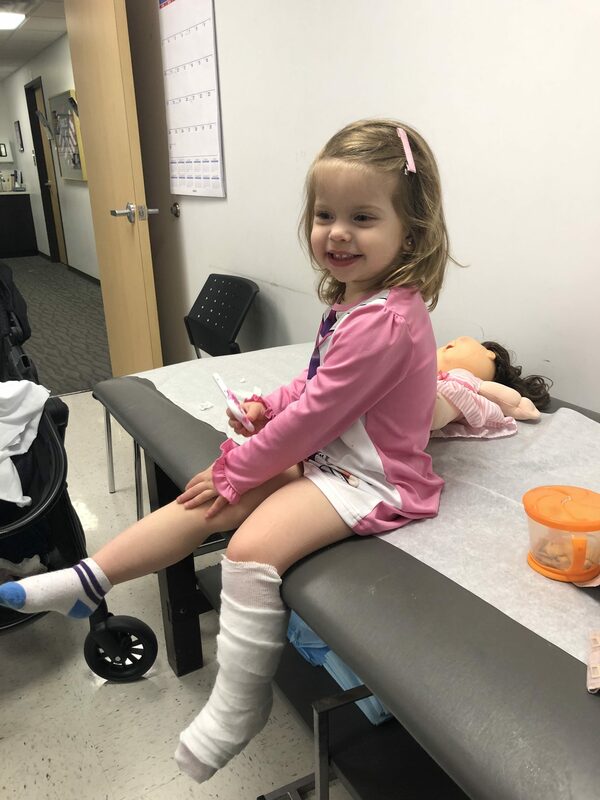 Since they couldn’t be sure where until we saw an orthopedist, they put Ella in a full leg splint for the night – which may have been one of the saddest things I’d ever seen. 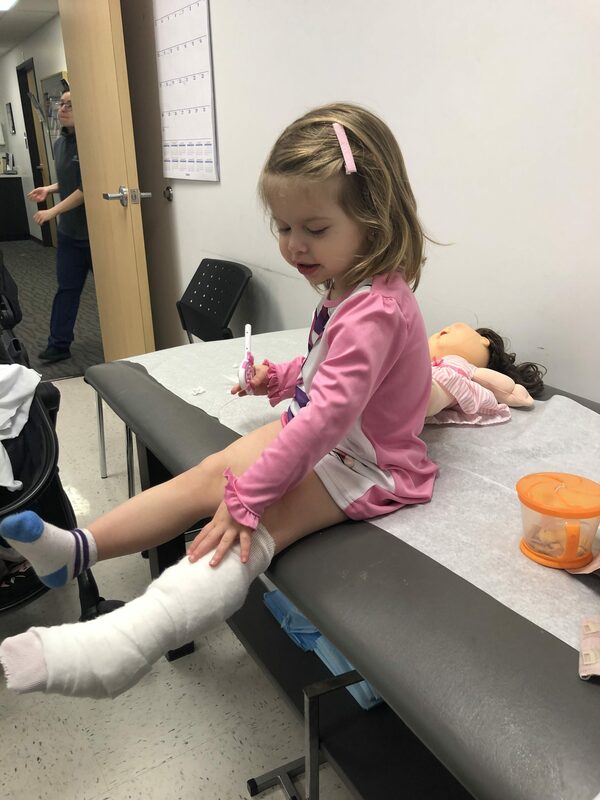 The next morning, I took Ella over to a local orthopedist who has walk-in hours on Saturdays, who determined the fracture was in her ankle – and on went the cast, which needs to be on for a full month. While it wasn’t the best news, I was so relieved to see the splint go and to see the much shorter cast go on. 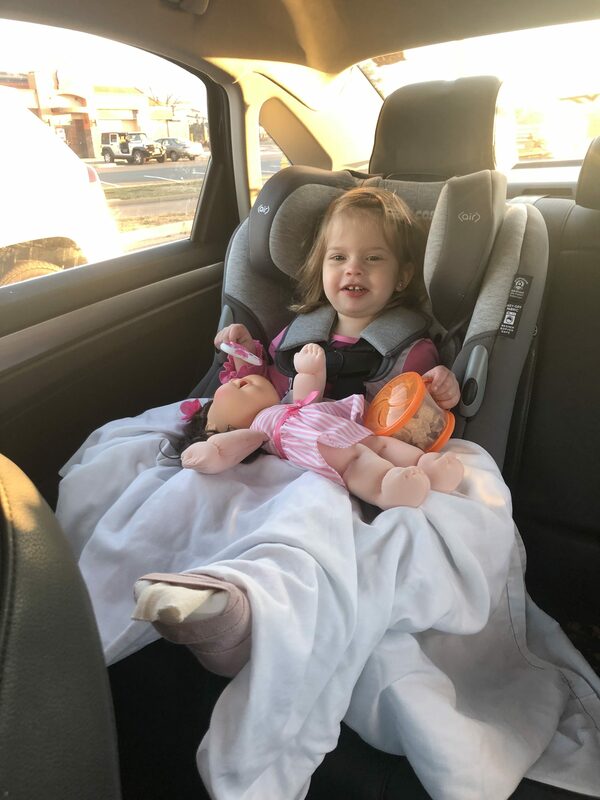 It’s been a few days now, and the cast has thankfully not slowed Ella down. She was too scared to walk on her cast for the first few days, but she’s gotten over that and is moving around pretty well now! It hasn’t seemed to interfere too much with potty training either, which was another big worry for me since she’d been doing so well with it. Just a few more weeks to go before this is all just a memory! But moral of the story – don’t let your kids go down slides on anyone’s lap – yours, a sibling’s, or anyone else’s! On my gosh! I never realized that kids got injured this way. I’m glad she’s on the mend. Often it’s hardest for the parents, right?